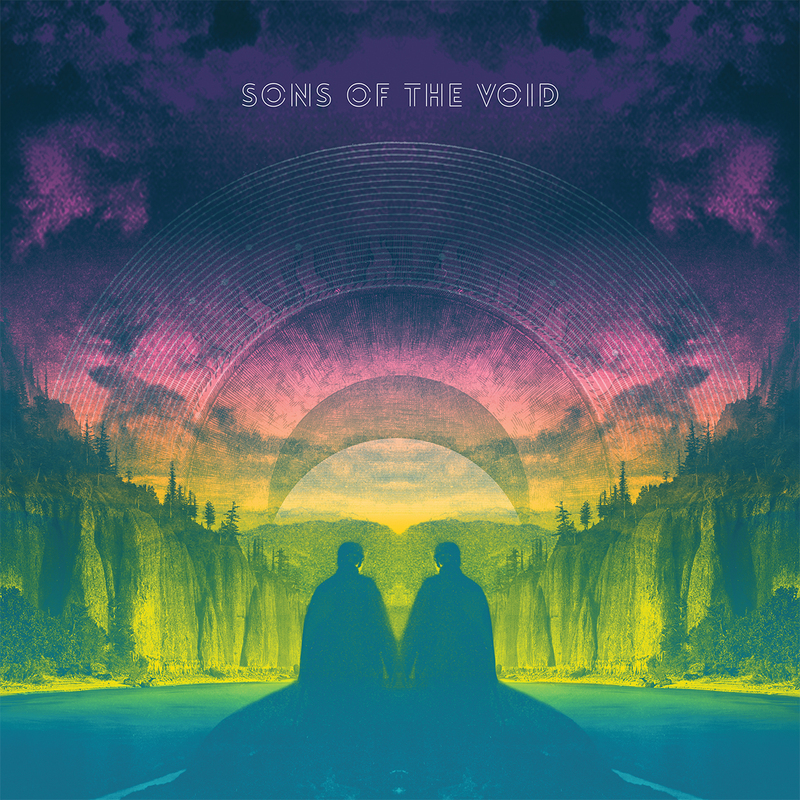 Looming on the horizon from the veritable Sunrise Ocean Bender is the eponymous album from Sons Of The Void. SOTV are the brainchild of David Max, formerly of psych rockers Tadpoles (if you unfamiliar with Tadpoles, make an effort to check’em out…some great psych rock, the ‘He Fell Into The Sky’ is especially gnarly!). Via a tenure in Genesis P.Orridge’s Psychic TV and work with Sonic Boom and Gibby Haynes amongst others, Max fell in with Nick Nobody and the Sons Of The Void story began. The laconic ‘Leichenblume’ opens the album; a laid back number full of sounds reminiscent of the rainforest and effects that add to rather then detract from the shimmering guitar. For a song that is about a flower, the ‘corpse flower’, that blooms only once in a blue moon and smells like death, it is a beautiful, crystalline number and a fine way in which to kick things off. ‘Don’t forget to pray’ sees some nice interplay between the americana-tinged acoustic guitar and stabs of keyboard. A nice little psych pop number that takes one back to the eighties and the Paisley Underground scene. ‘Kolliderscope’ starts with snippets of spoken word found sounds before launching into a jaunty, psych-inflected song full of echoey vocal effects and a real sense of the sixties. ‘Absorption’ has the feel of late era Beatles, with some lovely psych guitar and a rich, hazy melody. The lead out is a glorious thing to hear; dreamy psych laden with reverb and fuzz. In this reviewer’s opinion this is the standout track on the album. ‘Hope I Don’t Miss’ initially harks back to 60/70’s West Coast America and the Topanga Canyon scene, but then the fuzz kicks in becoming a wall of noise behind the vocals, before falling away again. ‘The Things We Wish’ is The Byrds brought bang up to date, with acoustic guitar and organ producing another sixties tinged tune and the vocals sensitively matching it before ‘A Kick Like That’. This track almost borders on dreampop with hushed, treated vocals and a melody that meanders along nicely, the stabs of harsh electric guitar provide some variety. Album closer ‘Little Children’ is another trip back to the Paisley Underground days and yet another melody driven number, this time accompanied by some crystal clear guitar and a fine way to wrap things up. Max and Nobody have produced an album of understated class and elegance, full of irresistible melodies and put together with thought and sensitivity. I suppose this should come as no surprise bearing in mind Max’s musical background, but in these days of ‘turn everything up to 11’ ‘Sons Of The Void’ is a breath of fresh air and an album that will keep on giving. Although not released until March, preorders are going up at Sunrise Ocean Bender on Monday (1st February) via the label’s Big Cartel site here and the download will be available from the Bandcamp site here.